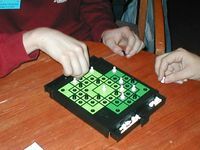 A series of abstract games from Ideal mainly targeted at "smart" children. 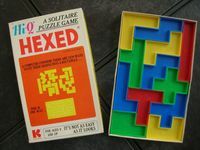 Gabriel also had Hi-Q games published with a "Hi-Q" in the same color scheme, and very similar font face. 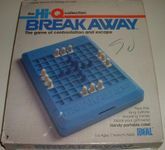 Also, a game called Take 5 was published by Gabriel with a slightly different "Hi-Q" logo. Did one company buy the other? 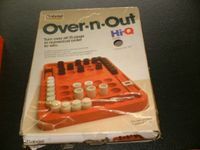 Was there some sort of agreement for both companies to have Hi-Q games? Was there some copyright infringement? 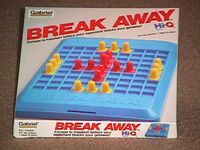 All the Gabriel Hi-Q games listed above were published before the Ideal Hi-Q games, except possibly for Break Away. 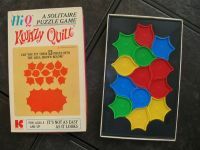 ...so perhaps Hi-Q went from Gabriel to Ideal, through whatever transformation or transfer of ownership!